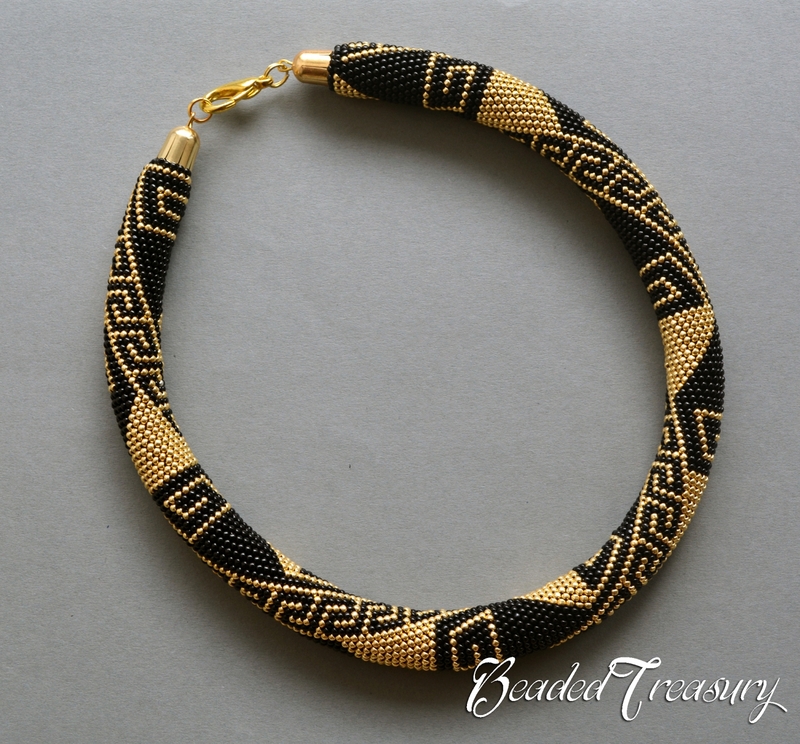 The "Greek Meanders" bead crochet necklace features the meander - the most important symbol in Ancient Greece. It takes its name from the river Meander, a river with many twists, mentioned by Homer in Iliad. This symbol is also known as the Greek key. Meander symbolizes infinity or the eternal flow of things, also the bonds of friendship, of love and devotion and that’s the reason it’s often given as marriage gift. 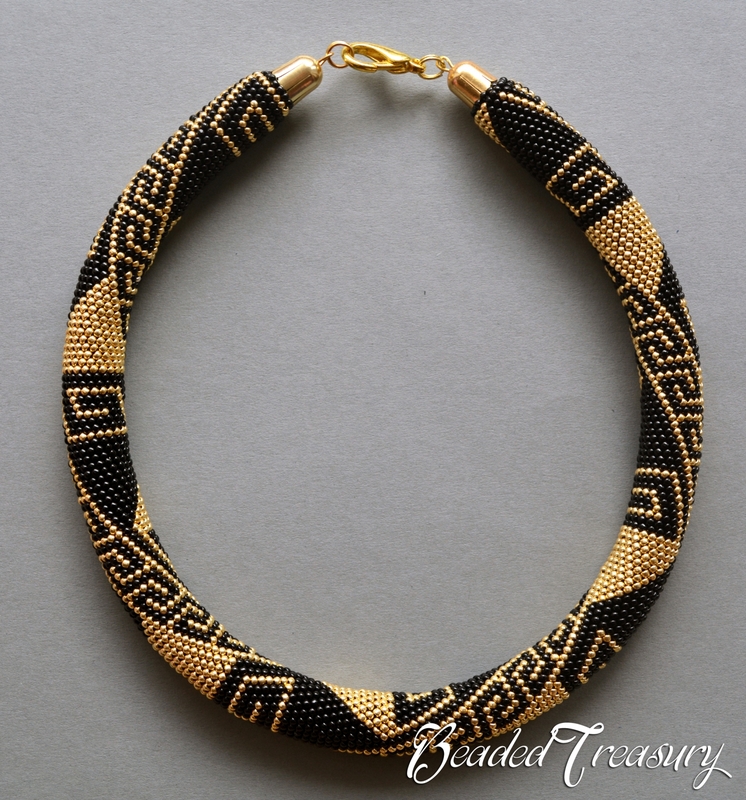 The pattern uses a classical combination of colors - black and gold, making it look classy and luxurious. 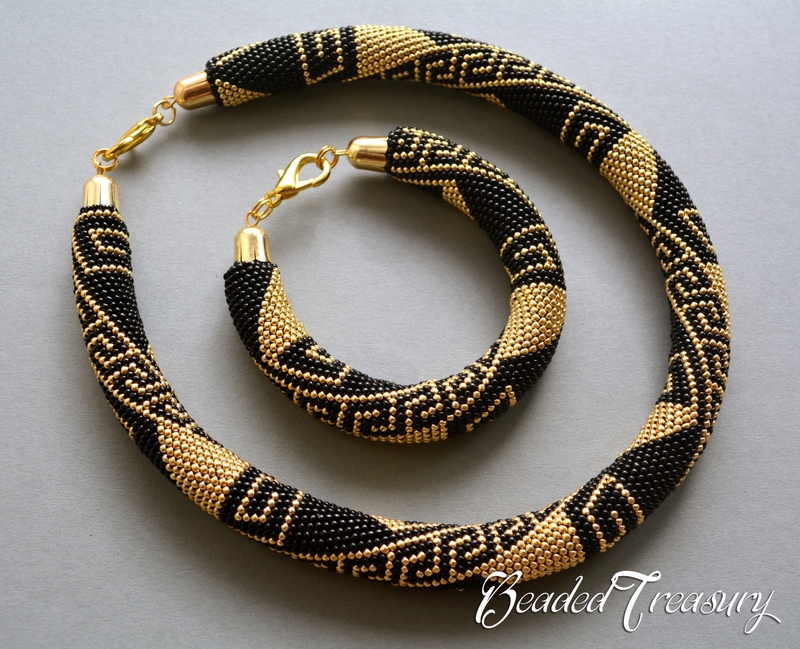 But you can use other color combinations, such as black and white or black and blue, this will make your bead crochet necklace look very Ancient Greek also. - general double bead crochet instructions, including how to finish the necklace. Skill level: Intermediate, assuming a basic knowledge of bead crochet. The pattern uses seed beads size 11/0 with 20 stitches in the round. You are buying a digital good. NO finished jewelry will be sent, ONLY the digital pattern that will help you make the necklace yourself. The pattern is a .pdf file, you will need Adobe Acrobat Reader to open the document. Do not share, sell, copy or teach any part of this bead crochet pattern.